Mobile online audience is growing at a rapid pace. With the proliferation of smartphones and tablets, we’ve passed the mobile tipping point – more Syracuse.com readers read our local news content via their mobile devices than through their desktop computers. This seismic shift toward mobile media has made mobile marketing an essential building block in driving brand awareness. This emphasis on mobile marketing is taking place across Upstate New York – from Buffalo and Rochester to Utica, Albany, Watertown, Binghamton and beyond. With the proliferation of mobile, a positive mobile experience is also increasingly important for brands. Giving your customers a positive experience, on a mobile friendly or responsive website, is vital to growing and retaining business. 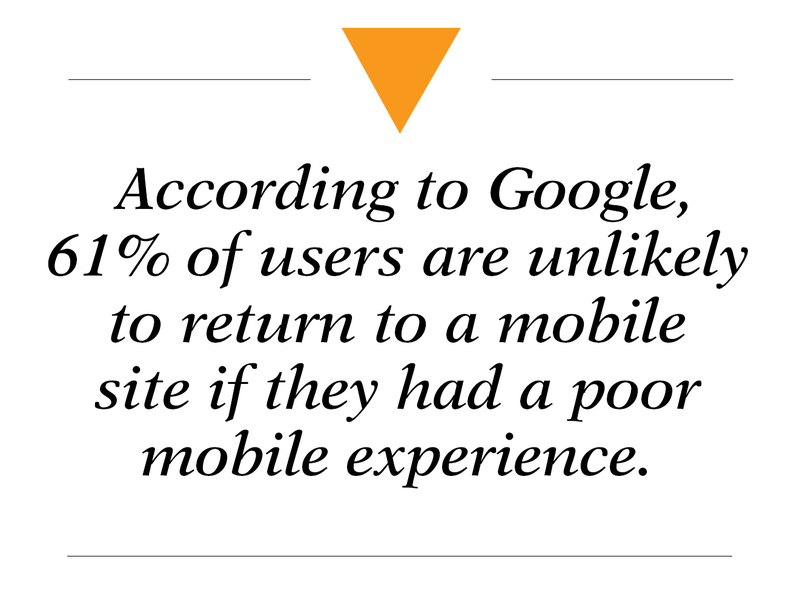 According to Google, 61% of users are unlikely to return to a mobile site if they had a poor mobile experience. And to make matters worse – 40% of these users visit a competitor’s site instead. Mobile web advertising and mobile app advertising alike is no longer seen as a piece of the advertising budget. Instead it is intertwined into a brand’s overall marketing strategy. Mobile web and mobile app ads can be targeted using similar audience targeting methods as desktop display and a mobile search engine presence is essential, whether it be paid or organic. Email and video, once solely consumed on desktop formats, are now more greatly viewed on mobile devices. In short, mobile is everywhere. Some of the most innovative targeting techniques are taking place on mobile platforms. Geo-fencing, a mobile targeting technique known by many names including hyper local mobile and location based mobile, is an extremely specific advertising approach. Geo-fencing allows you to set a radius around a specific point – whether it be a storefront, an event, or a competitor’s location – and serve mobile Display ads to any user within that defined area. To further extend the life of a hyper local mobile campaign, Mobile IDs (the cookies of mobile devices) are collected and can later be used to re-message to users who previously visited the select areas. Mobile phones are now an essential part of our everyday lives – over 50% of American’s keep their phones within reach, even when they sleep! Marketers should consider mobile an essential piece of any comprehensive marketing strategy if they truly want to reach their best potential audience. A local retail chain was opening a new store location and wanted to promote its coffee and breakfast offerings but had some stiff competition, with several other stores competing in the breakfast space. To break through the clutter and compete, the retail chain deployed a hyper local mobile competitive conquesting strategy. Pins were set up at competitive store locations and served ads specifically about the retailer’s hot coffee and breakfast offers. Within the first week, the hyper local mobile strategy drove unprecedented traffic to the web page for offer redemptions. To learn more about our mobile marketing capabilities, contact a digital marketing consultant today. Learn what mobile marketing can do for your business.